Anjali Mahendra is Director of Research at WRI Ross Center for Sustainable Cities. She leads the research agenda, guiding our worldwide team in conducting policy-relevant, innovative and interdisciplinary research across all program areas of WRI Ross Center. She advises staff on research design, ensuring the production of high-quality knowledge products and robust evidence to guide WRI’s engagements in cities around the world. 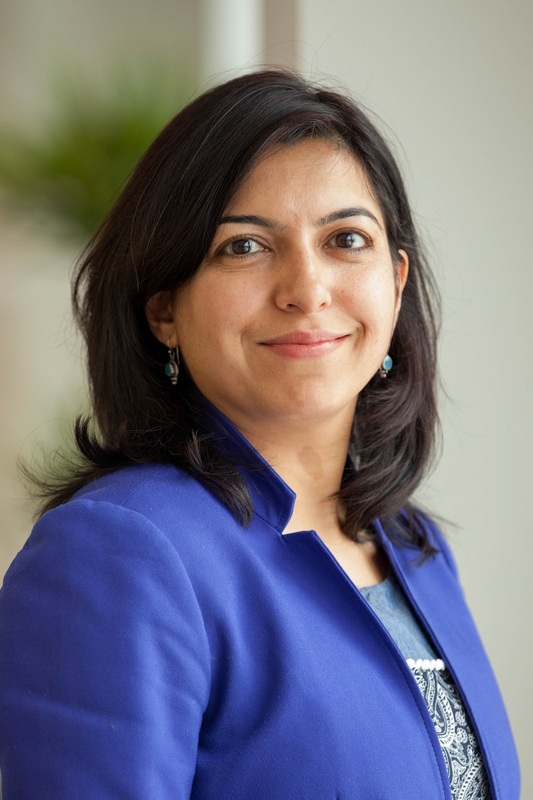 Anjali is currently co-leading development of the World Resources Report, Towards a More Equal City, a flagship WRI publication, working with thought leaders from around the world. Her current research focuses on how rapidly growing cities in the global South can manage urban expansion in a way that ensures equitable access to core services, and more resource-efficient economic and environmental outcomes. As a recognized transportation expert, Anjali has taught graduate level courses in transportation policy and authored several publications on urban transportation and land use policies, their public health impacts, their regional economic development and equity impacts, and their potential for climate change mitigation. Prior to her role with WRI’s global office, Anjali led research for the India office of WRI, then known as EMBARQ, leading teams in new areas of work such as integrating public health concerns into transport planning in Indian cities, travel behavior and energy consumption patterns in newly developing peri-urban gated communities, and understanding the accessibility of slum dwellers to public transport services. Before her position in India, she led projects for the U.S. Environmental Protection Agency, the U.S. Department of Transportation, the Transportation Research Board, U.S. state and local agencies, and international organizations as a senior consultant at ICF International. Anjali is passionate about connecting research with practice and has worked in the U.S., Latin America, Europe, and India, for organizations including the World Bank, Union Internationale des Transports Publics (UITP), the World Business Council for Sustainable Development, TU Delft in the Netherlands, and the University of North Carolina at Chapel Hill. Anjali holds a Master’s degree in City Planning, a Master of Science in Transportation, and Ph.D. in Urban and Regional Planning, all from the Massachusetts Institute of Technology. She has a Bachelor’s degree in Architecture from School of Planning and Architecture, New Delhi, India. She enjoys documentaries, cooking, travel, and spending active time outdoors with her family. She lives with her husband and two sons in Cary, North Carolina.